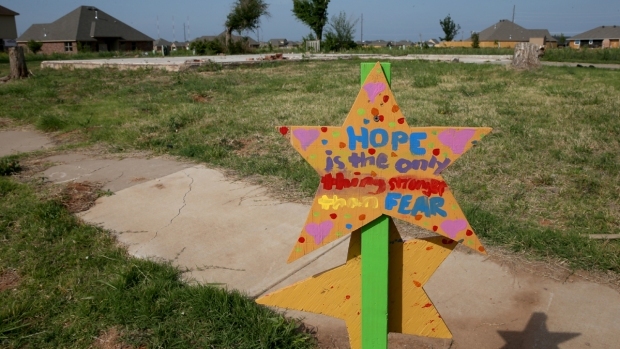 An Oklahoma community devastated by a monster tornado a year ago marked the anniversary Tuesday with remembrances that honored the two dozen dead and looked toward the future, breaking ground for a new hospital and walking children along a route to a new school. 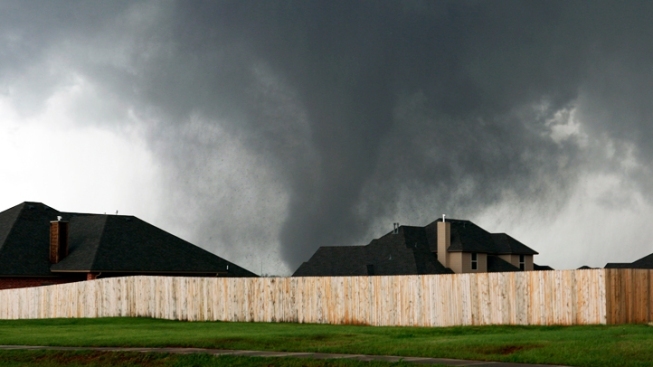 The storm on May 20, 2013, swept through Moore with winds of 210 mph, injuring hundreds of people and leveling more than 1,300 homes, schools and the hospital. Among the dead were seven students from Plaza Towers Elementary School. Elementary school children from Briarwood Elementary School walked to a picnic Tuesday on the site where their school stood before being destroyed. Teachers at Briarwood and Plaza Towers had thrown their bodies over the students as the storm destroyed their buildings. Both schools will reopen in the fall. One year after an EF-5 tornado tore through Moore, Oklahoma killing 24 and injuring hundreds more, the city paused to remember. At the house where her sister died, Debbie Dizani and her two daughters prayed. Cindy Plumely died in last year. "Moore Strong" street signs are on every corner in Moore, Oklahoma one year after a deadly tornado. “She lived here and she died covering her kids and her grandkids. They stayed in the utility room and they didn’t have time to leave,” said Dizani. The children all survived. Today, Dizani left flowers next to a heartbreaking sign from Plumely’s son, that says 'Mom I love you'. And while Plumely’s home remains a slab, many others have been rebuilt. “I just want you to know she is missed,” added Dizani. At the ceremony, about 600 government officials, first responders and residents gathered for the tribute to the 25 who died in the storm and as a result of it, with a bell ringing by the Moore Fire Department Honor Guard. "This is Moore, Oklahoma, and we're probably going to have another storm," Moore Mayor Glenn Lewis said even as strong winds blew, during the hospital groundbreaking. He encouraged people to educate their children about storm safety and build safe rooms for shelter. First responders, many of whom were at the ceremony held on the site of the ruined hospital, had set up a triage clinic in the movie theater next door to treat the hundreds of people pulled out of the nearby neighborhood. The new Moore Medical Center, a $29 million facility which is expected to be completed in fall 2016, will include a safe room big enough to house all patients and staff. Moore City Councilman Mark Hamm, meanwhile, pointed to two new parks and two that have reopened in the last two weeks as signs the area continues to "regroup, rebuild and recover" from the storm. Gov. Mary Fallin and U.S. Rep. Tom Cole joined city and hospital officials to honor the community, citing the "Oklahoma strong" mentality that made recovery possible. The "Oklahoma Standard" of caring and quick emergency response was a term popularized after the 1995 bombing of the Alfred P. Murrah building in Oklahoma City. 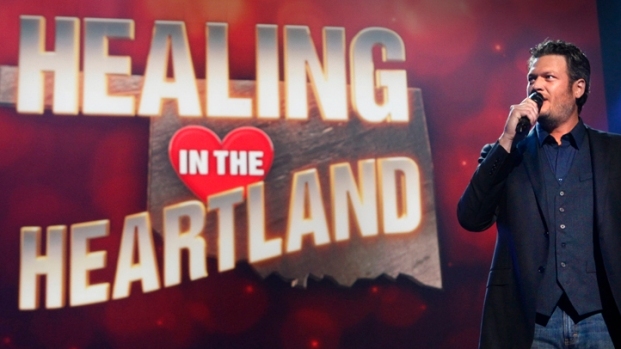 "It's important not to forget there are still Oklahomans that are suffering and recovering," Fallin said. "Yes we will recover, yes we will rebuild, and yes we will be even stronger."